Robert Garita graduated in architecture from the Institute of Advanced Architecture of Barcelona (IAAC). He is currently the Professor of the School of Architecture and Product Design at Veritas University. Robert is also the Cofounder and Chief Architect of MG Studio Design and Architecture and is an active member of the Young Architects Board of Costa Rica. Recently, in collaboration with Juan Esteban Vallejo and Vaneza Caycho, Robert presented his project in furniture design and digital manufacturing. 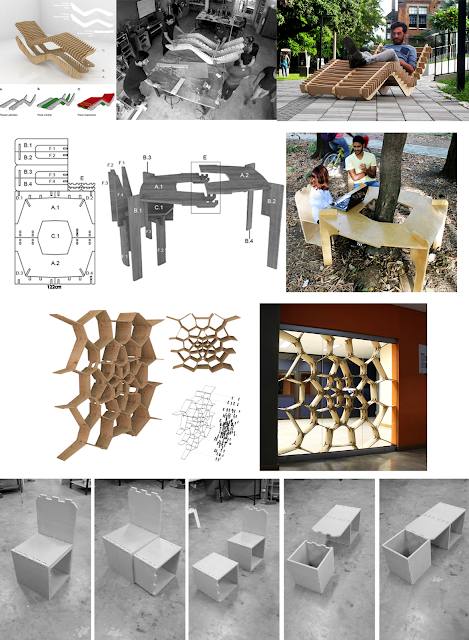 The project was a proposal of furniture for public spaces at the National University in Medellín. It recognized the potential of generating unique design objects that fit the specific needs of users through the implementation of technologies for parametric design and digital fabrication. Check out a video of the project here! Check out the complete project proposal here! All projects were modeled using Rhino 5 and its plug-ins: Grasshopper and RhinoCAM. The project gave undergraduate students at the National University of Colombia, and at Veritas University in Costa Rica, more opportunities to gain experience in the implementation of digital technologies for parametric design and digital manufacturing. Proposal for public space furniture at Colombia (Medellín headquarter) National University Campus. Robert Garita Garita, Professor and Researcher, Veritas University. Juan Esteban Vallejo, Fab Lab UNAL Manager. Collaboration of Vaneza Caycho, Fab Lat. More about digital fabrication at RhinoFabStudio.